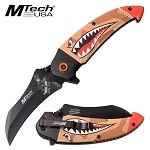 Mtech USA pocket knife. 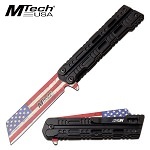 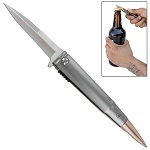 USA flag blade assisted opening knife. Includes pocket clip. 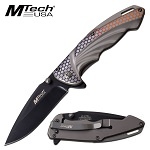 Mtech pocket knife with assisted opening knife action. 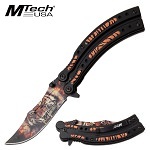 The knife blade has embossed printed crouching tiger image. 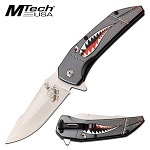 Mtech pocket knife with assisted opening knife action. 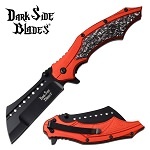 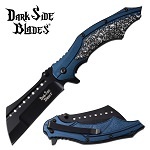 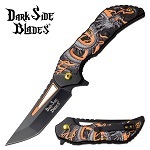 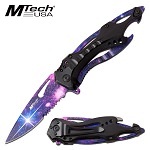 The knife blade has embossed printed black widow spider image. 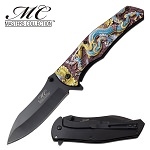 Dragon design spring assisted opening pocket knife. 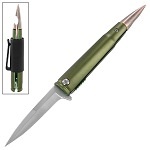 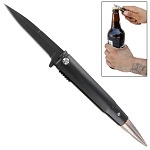 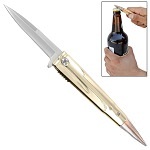 8.5 inch overall open knife length with a steel blade length of 3.75 inch long.